Crazy adorable. I can't stop watching this. This adorable baby video was published by Stephanie Passalacqua in 2012, but has only exploded online now. It has 3 million views now. 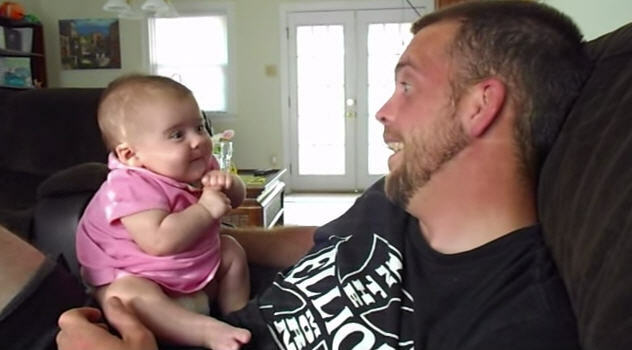 Stephanie recorded her two month baby daughter repeatedly copying her dad saying "I Love You".